Presidents’ Day week, my family and I spent some time in the great American Southwest. Because every school in WNY has that week off, airfares from Buffalo are notoriously expensive, so we opted to save 50% and fly out of CLE. To make the early morning departure even easier, we stayed at a Sheraton on-site that offers a stay & fly package, which includes long term parking for up to 2 weeks. Now that you have to arrive 2 hours before your flight to accommodate a stressy security procedure, a little extra sleep goes a long way. 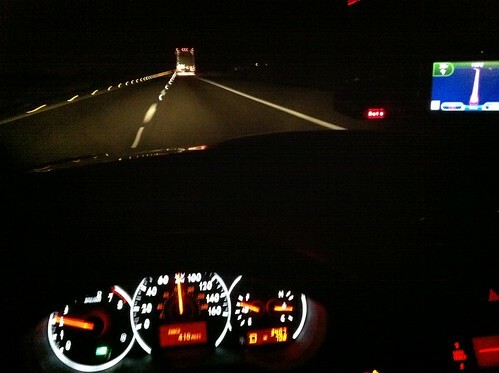 Saturday morning, the hotel shuttle drove us about 1/4 mile to departures, and we were on our way to PHX. We try to do most of our flying on Southwest or JetBlue, which both give you one free checked bag. Continental/United, however, does not, so each of us had a carry-on suitcase and a piece of hand luggage. It was a bit unwieldily because, really, a 5 year-old can’t be expected to do this, but we made it work. The payoff is walking off the plane in PHX, out of the security zone, and directly to the shuttle to the centralized rent-a-car facility. Similarly, by joining Dollar rent-a-car’s free “Express” service, I didn’t have to wait at a counter, but walked directly to the garage, to my waiting car. Although I had booked a full size car, I was surprised to see a Nissan Altima sitting in the spot. It was relatively new, very clean, smelled like a new car rather than an air freshener, and while its engine was a bit wheezy – especially at altitude, it more than accommodated the four of us and all our bags. The first day we drove to Flagstaff, about 100 miles north from Phoenix. We stopped off for lunch at In-n-Out Burger and cut through the gorgeous scenery of Sedona en route to Flagstaff, where we would spend the night before hitting the Grand Canyon. 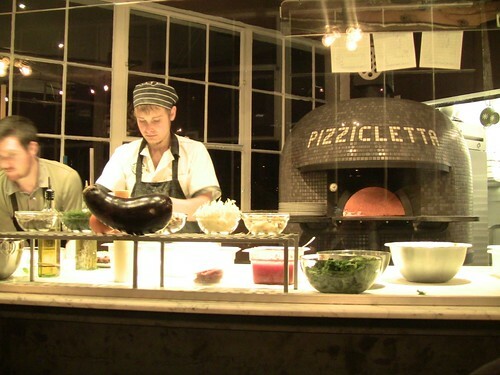 Last year, I had followed the story of Flagstaff resident Caleb Schiff, who was writing for Eater.com’s Slice blog, detailing his process in opening a genuine Neapolitan pizza place. When I read about the delivery of his Stefano Ferrara wood-fired oven, I made a note to go out of our way to try his place out. We got our wish. I had been Tweeting my excitement to try Schiff’s place (@pizzicletta) and when we arrived, he took the time to come out and say hello. His pizza slice-shaped little restaurant is small and cozy, but offers up everything you could possibly want – good beer, excellent wine, phenomenal wood-fired pizza, friendly people, and homemade daily gelato. It’s a remarkably simple menu, and everything is superb. 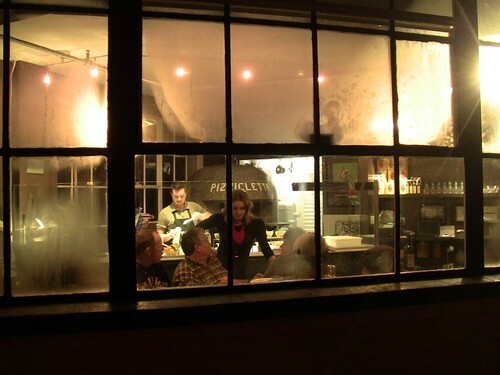 There are two seating areas – a counter facing a window, and a long table that promotes getting to know your fellow diners. We met people from Montreal who came to Pizzicletta from their current home in Phoenix, on their way to ski the Arizona Snow Bowl. We met locals who were there to try the new guy out. It was busy, and Caleb is living what’s clearly his dream. He’s a talented chef who has a really great thing going. I hope to return sooner rather than later. Flagstaff itself is a sleepy little place that I can only describe as a cowboy version of a New England college town. It reminded me of places like Northhampton, Massachusetts and Middlebury, Vermont – a gritty charm that works perfectly for the young people who pass through it and the bars, restaurants, music venues, and cafes that go along with it. Driving through its downtown, I found a courthouse, a law firm, and a mid-60s era Bank of America office building. Everything else was retail and services. The next morning, we headed northeast out of Flagstaff to take the longer, but more scenic eastern approach into the Grand Canyon National Park. We stopped off in Cameron where there’s a mega-kitschy tchotchke shop, which was loaded with Japanese tourists, before heading west into some low clouds, which quickly turned into an on-again, off-again snowstorm. We came upon the Watchtower at the western end of the park and could see absolutely nothing. We were in a cloud bank, with winds so strong it was snowing up. We hung around for a little while to see if the clouds would lift, and they soon did. 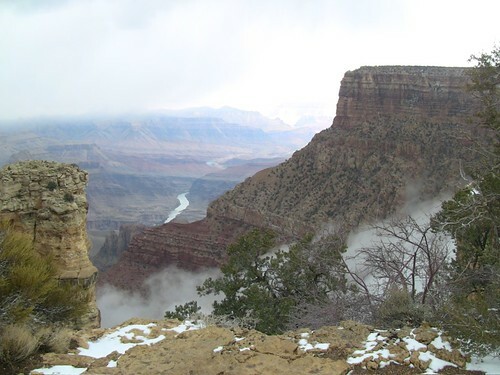 With a little patience, we were greeted with the cloudbank lifting, revealing the Grand Canyon in her cloudy, snowy glory. It was truly a magical experience. The drive west to our hotel in Grand Canyon Village, however, was less magical. Although there were a few magnificent views from occasional pull-offs we took, the roadway was mostly untreated, and downright treacherous. We saw three accidents due to the compacted snow that turned to ice underneath. It’s a somewhat winding and hilly road, with only occasional guardrails, so the 15-ish mile drive was a bit rough. Having rented our car in Phoenix, we didn’t even come equipped with an ice scraper. 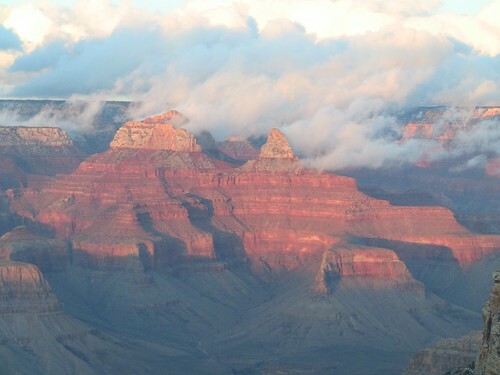 Food at the Grand Canyon is mostly one thing – expensive. Quality is something of an afterthought. Think banquet food + captive audience. So, before leaving Flagstaff we had stopped at a Safeway to pick up provisions like peanut butter, baguettes, sodas, and other snacks. Breakfasts and lunches were made from these raw materials, as well as some we picked up at the Delaware North-operated grocery store at the park. The meal we had at the Bright Angel Lodge was passable and inexpensive, but dinner at the El Tovar Hotel, which is quite an expensive proposition, was only marginally better. Baguettes with ham or chocolate peanut butter were more satisfying, and much cheaper. Also, the Safeway in Flagstaff didn’t just sell ice, but dry ice. No watery mess! From the Grand Canyon, we headed west into California to visit relatives and make a stop at the Getty Center and Jose Andres’ restaurant, The Bazaar. I love driving out west, so the 400+ mile drive didn’t make for many problems, and a well-timed lunchbreak in Kingman, AZ gave us a second opportunity to grab another round of In-n-Out. 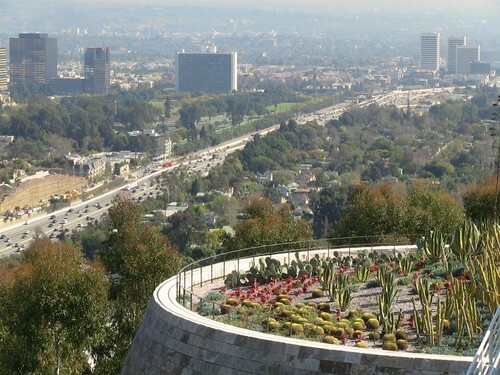 The Getty Center is perched above the 405, in the Santa Monica Mountains towards the west side of the L.A. basin, near UCLA. You pay $15 to park in an underground garage, and take a free tram ride up the mountain to the free museum, which can only be described as magnificent. The view was unparalleled, stretching east from Hollywood and downtown LA, west to the Pacific Ocean, which was mostly obscured by a thick marine layer. The Getty’s design itself is something to behold, and unfortunately we had only limited time to check out a smattering of the many exhibits they feature, including some Classical statuary, Impressionist paintings, some photographic exhibits, and some abstract sculpture. 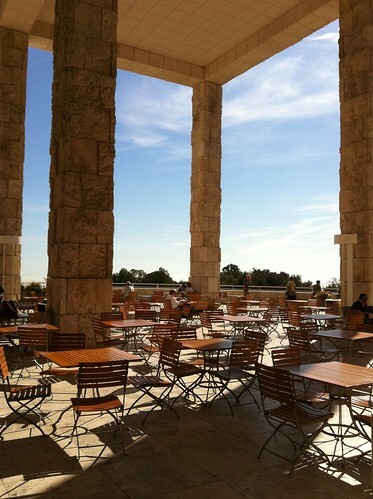 The Getty itself is worth a visit to LA, and a full day’s attention. From there we caught Wilshire to head east towards Beverly Hills, where we dined at one of the most whimsical and delicious restaurants I’ve ever experienced. Honestly, to include a review of this phenomenal restaurant in this general travelogue wouldn’t do it justice. But what struck me about Bazaar wasn’t just the inventive menu, the talented kitchen, or the perfect execution of really complicated dishes – instead, it was the service. Our server made sure this wasn’t just another feeding frenzy, but an experience – when’s the last time that your server, in explaining the menu, told you to ask questions and have fun? This, we did. There are some pictures of the food in my Flickr set. 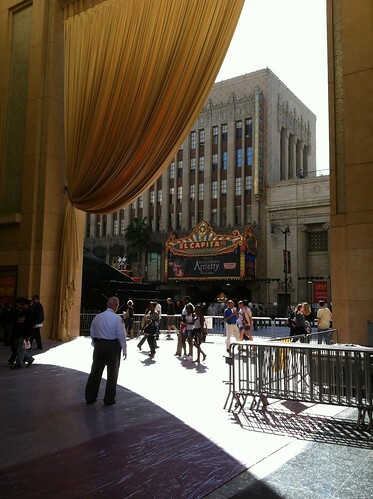 The next morning, we bade family farewell and took a quick detour to show the kids the part of Hollywood in and around Grauman’s Chinese Theater and the Kodak Theater. Everything was being prepped for the Oscars that coming Sunday, which gave us a taste of what Hollywood is really about – superficial self-promotion. Take note that there’s a Beard Papa cream puff bakery there, as well as a Crumbs cupcake shop. We stopped for lunch at a mall in Rancho Cucamonga that’s built entirely outdoors and resembles an old-fashioned small-town downtown. These types of malls, known as “lifestyle centers” have been all the rage throughout the country for years now, yet the closest one to Buffalo is the Legacy Village outside Cleveland. As we continued east towards Phoenix, we stopped again at Indio in the Coachella Valley to try a delicacy that I can highly recommend: Shields’ date crystal shake. 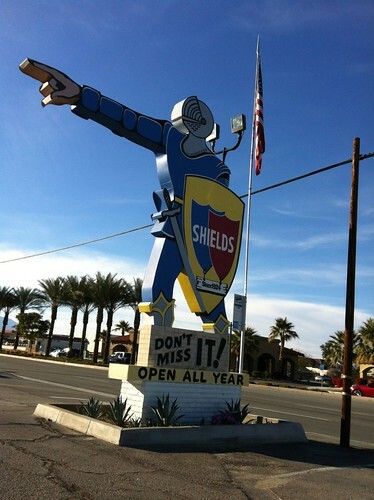 Shields started growing dates back during the depression, and soon became a popular roadside attraction. Shields invented the date crystal, which they use to soften and dissolve into soft vanilla ice cream to create their date shake – a confection that’s simple, delicious, and hard to compare to anything. It’s one-of-a-kind, but you can give it a shot yourself. They sell date crystals online. In Phoenix, we stayed at the Sheraton Wild Horse Pass in Chandler. It’s a resort located on an Indian Reservation, and like the Grand Canyon resorts, it’s very family-friendly, but also quite expensive. Well, the original reservation we made for three nights through Starwood.com was $250/night. But as our trip approached, I kept an eye on Hotwire.com, which gives you great deals but only describes the hotel – it doesn’t identify it. But by using betterbidding.com, I was able to decipher that a $120/night deal was being offered on a hotel that I was 99% sure was the Shertaon Wild Horse Pass. When I bought the reservation, I was right, and saved almost $500. But the food there was pricey, too – two bagels and two coffees ran us $22, so from then on we got breakfast and some lunch provisions at the closest thing they have to Wegmans – AJ’s Fine Foods. They even sell beer, wine, and hard liquor. How bout that. I had never spent any time in the Phoenix area, and fully expected it to be a baking, seedy and horrible place. 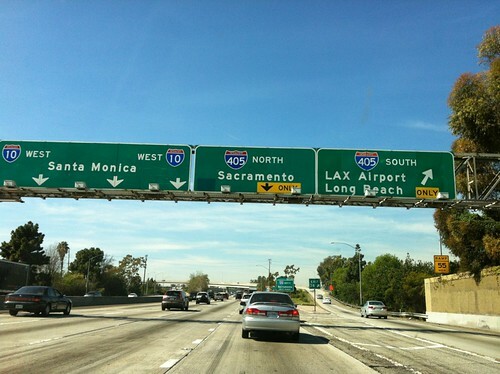 But while I found the Los Angeles area to be somewhat seedy, I had no such opinion of Phoenix. In fact, I quite liked it. A lot. I thought the downtown was in great shape, and had lots to see and do. Their light rail is modern and functional, serving more than just one street. I got to thinking about our local attention to “sense of place”, and decided that Phoenix, despite being a new, sprawling, Southwestern place has “sense of place” of its own. There’s no mistaking where you are, with the blue skies, strong sun, and gorgeous mountainous setting. I was shocked by how much I enjoyed it there, although I’m not sure I’d go back in summertime. Next time, we’ll reserve some time at the Bondurant driving school and explore the surrounding mountains a bit more. 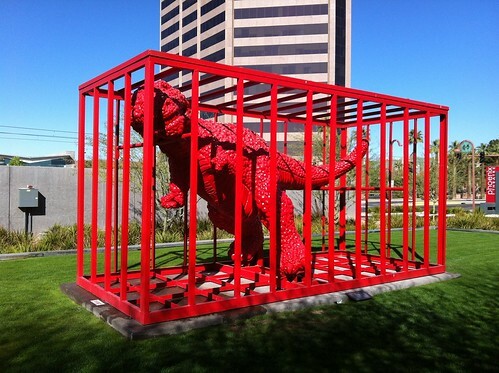 The Phoenix Art Museum was phenomenal – situated in a gorgeously designed facility, it had some wonderful exhibits. We particularly loved the contemporary art wing, the Impressionist gallery, and a great exhibition of Frank Lloyd Wright designs (including the one for the Larkin Administration Building). One of the things I learned about Wright was his vision for the “city of tomorrow”, which wasn’t so much a city as it was a sprawling, car-dependent community where every family lived on an acre. Broadacre City was never built, but they had a Wright-built model of it on display. It was thought-provoking – not 70 years ago, Wright foresaw a car-based, non-urban utopia whose population density would be miniscule in comparison even with that of Phoenix. How times have changed. Perhaps we’re too quick to assail those who came before us and brought about urban renewal and suburban sprawl. These were not only mainstream, but downright progressive in that time, when cities were not particularly attractive places to live. In order to make sure we could zip up our bags in such a way as we wouldn’t have to pack them, we made a couple of stops at the post office to send stuff home to ourselves. Those flat-rate priority boxes were the difference between closing some bags, and checking others. 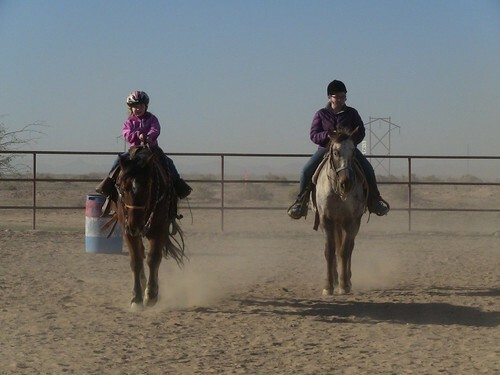 Aside from golf and a nearby casino and wild-west replica town, the resort had a horse ranch where the kids were able to ride a horse for the first time. The woman taught them how to groom the horse, clean its shoes, put the saddle on, and then to ride. It was 2 really special hours that those sisters will always remember. Old Town Scottsdale is wild-west kitschy, but the art galleries to the west were like museums in their own right. 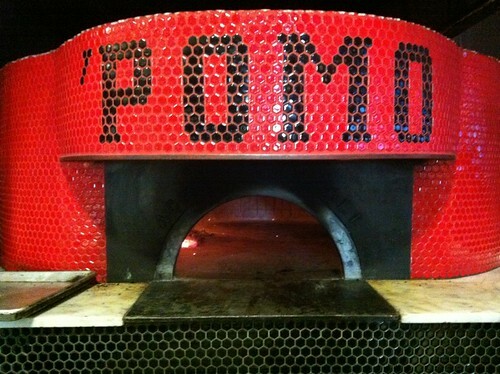 As for dining, we found another Neapolitan place called ‘Pomo, which Pizzicletta’s Caleb Schiff had recommended. As I approached the pizzaiolo to take a snapshot of the gorgeous red-tiled wood-fired oven, he waved me over and chatted me up in barely comprehensible Englalian. Later, Fabio the master pizzaiolo sent out a delicious garlic & red pepper oil condiment to use on our pizzas, and a limoncello nightcap that had a wonderful “orange julius” creamsicle consistency. 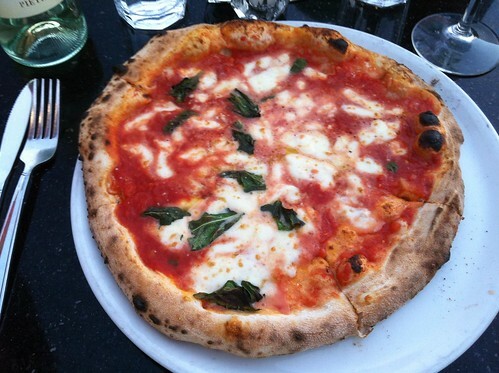 We went back the next night because, hey – there’s no Neapolitan places back home, so we stuck with what we knew was good before a hectic day coming home. And so it was that we filled up the tank at the Chandler Love’s truck stop before getting some shut-eye, leaving Sunday morning at 5am to return our car and catch a 7am flight to CLE. Thankfully, the weather back home was decent, and the ride back to Buffalo was quick. I did notice, however, that almost every other highway sign in Ohio seems to have a solar-powered K-band radar gun. I don’t know if they were attached to anything or transmitting anywhere, but the radar detector went off every couple of minutes like clockwork. I guess Ohio decided that they wouldn’t ban detectors, they’d just harass you. The trip looks incredible. My wife and I are expecting our first in a month… and I love seeing people take their kids on trips that others might balk at. Disney might be great… but there’s a ton to see elsewhere, and I’m glad you took advantage of it. A nice roadtrip is fun too… and I fear that the current generation doesn’t experience them with the frequency that we used to. Well done, Alan and it appears you and your family took in the best of the west. 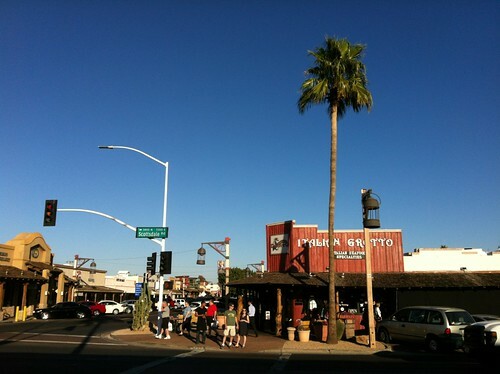 Next time you’re there and feel homesick, there’s a Ted’s at McClintock Drive and Broadway in Tempe. 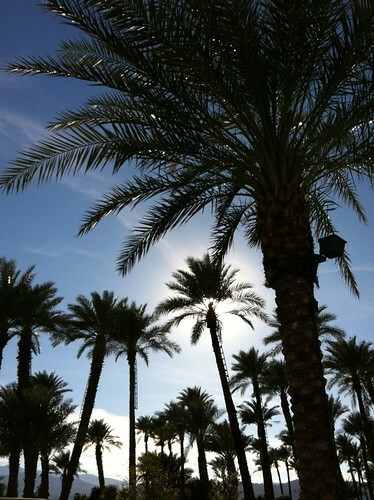 Phoenix in February is intoxicating and enchanting but in July it’s stifling under that unforgiving desert heat. The locals say “It’s a dry heat” but it’s a tough place to live unless you’re wedded to an air conditioning duct. 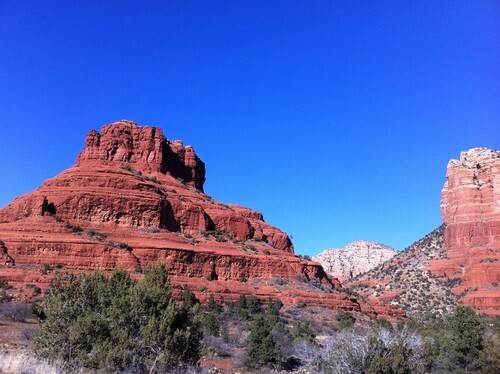 Enjoyed your Southwest travelogue. Brings back memories of visiting relatives in Phoenix over the years. Thanks for taking the time and effort of sharing your vacation with us. 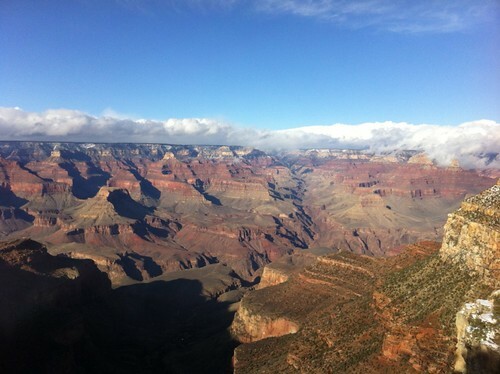 It sounds like you had a wonderful trip, thanks for sharing it, and I love the beautiful pictures of the Grand Canyon! I’ve been to Albuquerque in February and I remember the weather being perfect at that time of year. Please take it easy on the grease soaked burgers. You want to live to see your grand children someday don’t you? Great write up… Just happened to notice you passed by at least 6 MLB/MiLB ballparks, not to mention the USAirways Arena in downtown Phoenix, home of the NBA Suns… Nary a mention of any of them. That earns you a quarter point USRT deduction. 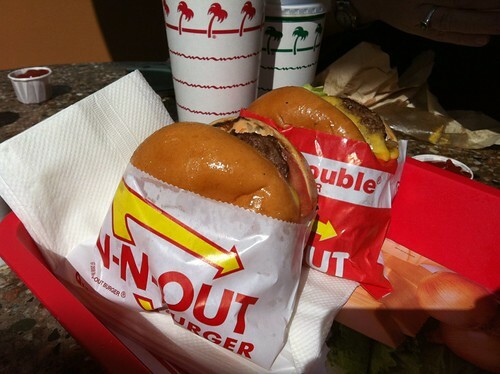 I love me some White Castle, but no way is it better than In-N-Out. 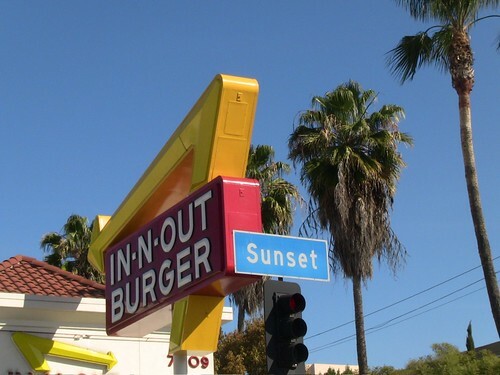 Glad you got to experience In-n-Out, but I’m jealous of your pizza visits. You had tweeted about going to Lowell Observatory while in Flagstaff. Did you make it there for a night event? Other notable side trips next time you are in the Flagstaff area: Meteor Crater, Wupatki Indian Ruins. PS – I used to stop at AJ’s for a little beer shopping anytime I passed through Phoenix. As you mention, Beer, wine, spirits all in the same store, and yet no anarchy or drunken children in the streets? Hmmmmm…..
Regrettably, we didn’t get a chance to do the observatory. We were going to do it after Pizzicletta, as it was just up the road, but by the time we left dinner, it was already close to midnight EST, and the kids were barely awake. As, frankly, were we. 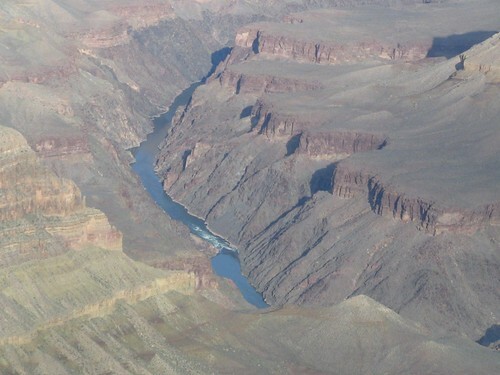 One highlight, however, was something I remember doing with my dad when I was a kid on my first trip to the Grand Canyon. It was 1980, I think, so I’d have been almost exactly my older daughter’s age. We were staying at the Yavapai cabins, and went outside to look at the sky, and it was the first time I had ever seen the milky way in my life. I’ve only seen it one other time with the naked eye, and that was when we opened up the sunroof on a drive through Maine to St John, New Brunswick. After dinner & when the sun went down, my daughter and I would leave the hotel and walk as far as it took to get to a spot with no direct lights. It took a few moments for our eyes to adjust, and the light pollution was still there, but sure enough after a few minutes of staring into the sky, we could faintly make out the Milky Way extending through the sky. It was one of those always-remember-it moments, and we repeated it again our second night at the Canyon. Enjoyed reading. I will definitively use your notes to travel West soon. Thank you for a tip on flying out of CLE! Great review. I loved going on road trips as a kid and I’m sure your girls will remember this fondly. The Southwest is magic land. The grease on those hamburgers is a lot like the new warning images they want to put on cigarettes.